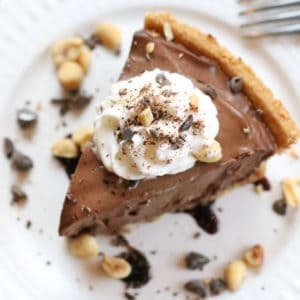 This creamy chocolate and peanut butter vegan pie recipe uses just a handful of ingredients and takes only minutes to prep – no baking needed! 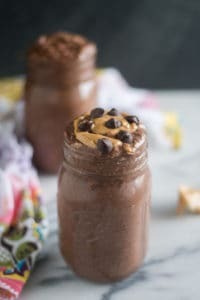 Now everyone can easily enjoy their peanut butter and chocolate fix! 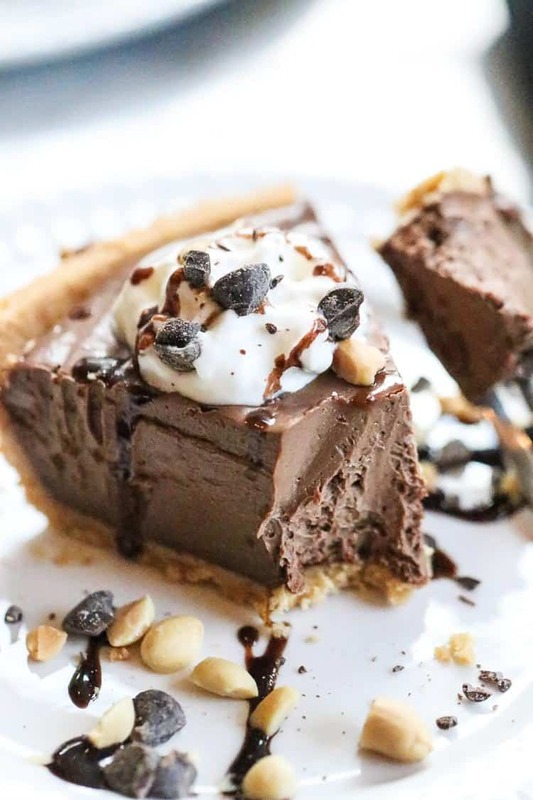 What is this vegan Peanut Butter Pie made of? Is this vegan Peanut Butter Pie Healthy? 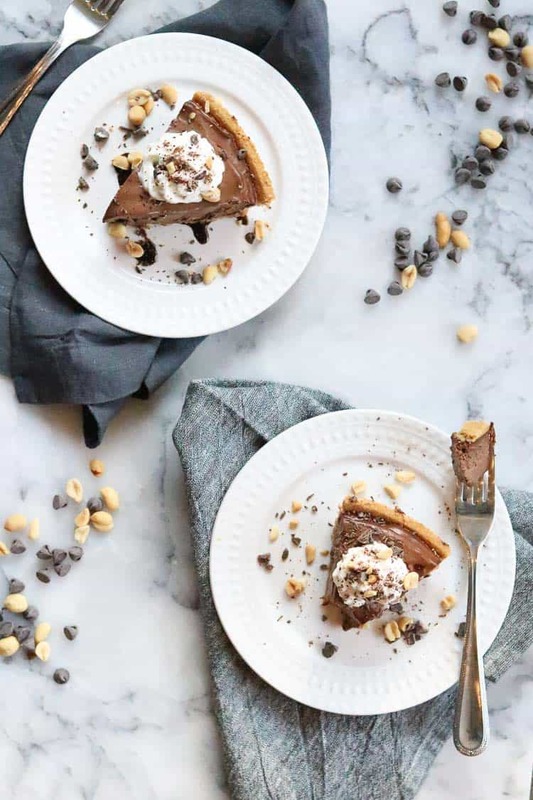 With no added refined oils, all natural peanut butter, very little added sugar (aside from what’s already in the chocolate chips), this pie definitely falls in the healthy-ish category! 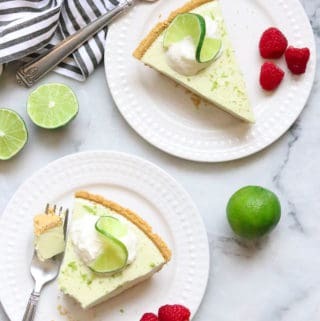 Maybe not a daily whole-pie experience, but certainly a lovely treat that isn’t too over-the-top sweet! 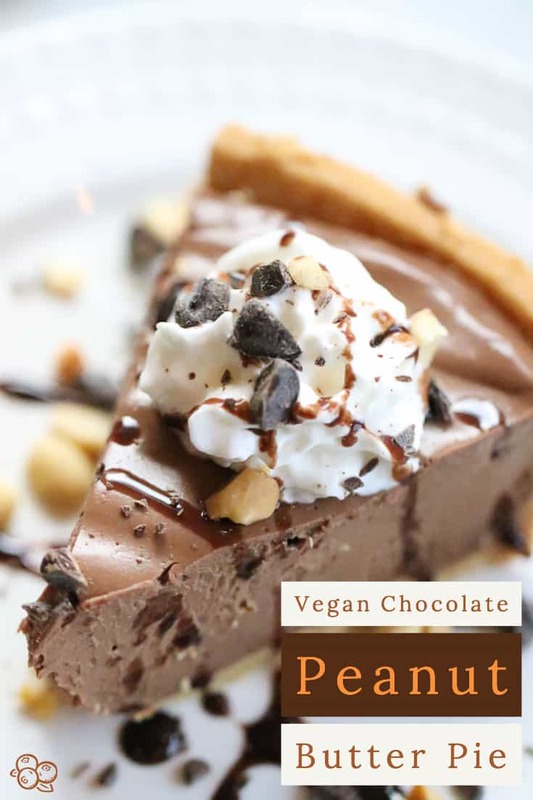 What are the steps to make Vegan Peanut Butter Pie? 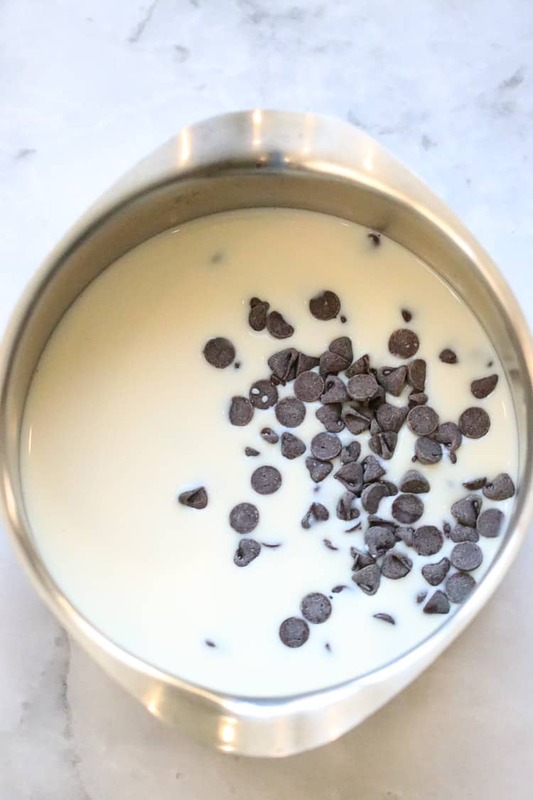 Measure your vegan chocolate chips and non-dairy milk into a small saucepan. Stir constantly over medium heat for several minutes until chocolate chips completely melted. 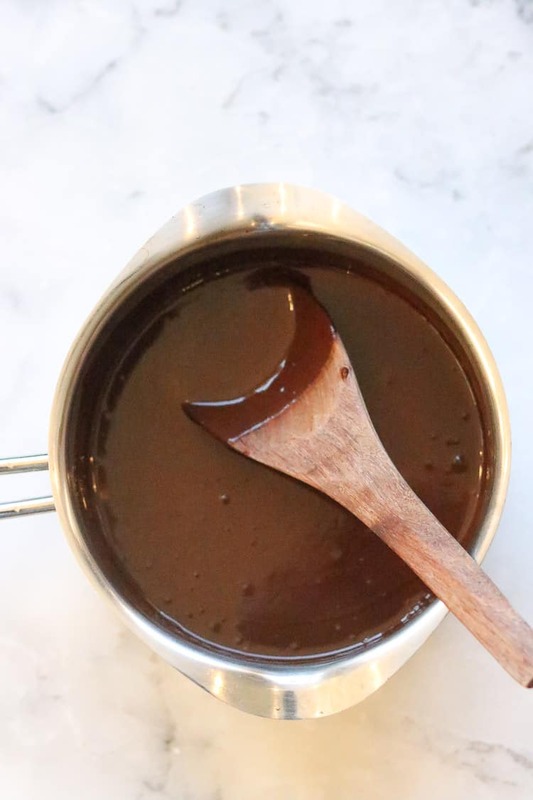 Once chocolate is completely melted, remove from heat and set aside. Into the blender add silken tofu, peanut butter, vanilla extract, and granulated sugar. Now add the melted chocolate and soy milk mixture. 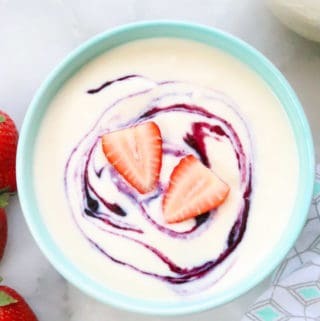 Blend all ingredients together for several minutes until completely smooth. 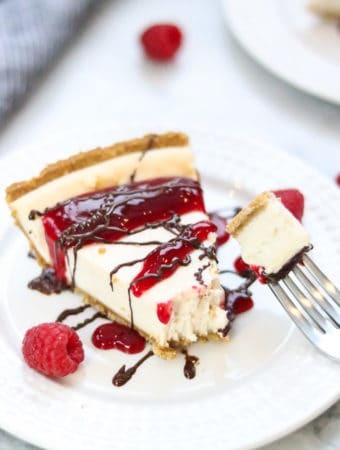 Pour Peanut Butter Pie filling into prepared graham cracker crust or other crust of choice. 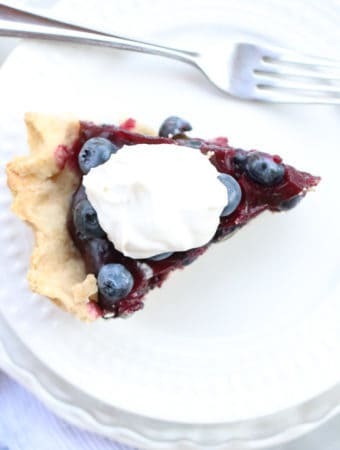 Smooth surface and place pie in the refrigerator for at least 6 hours or overnight. Then garnish as desired and serve!!! Delightful! 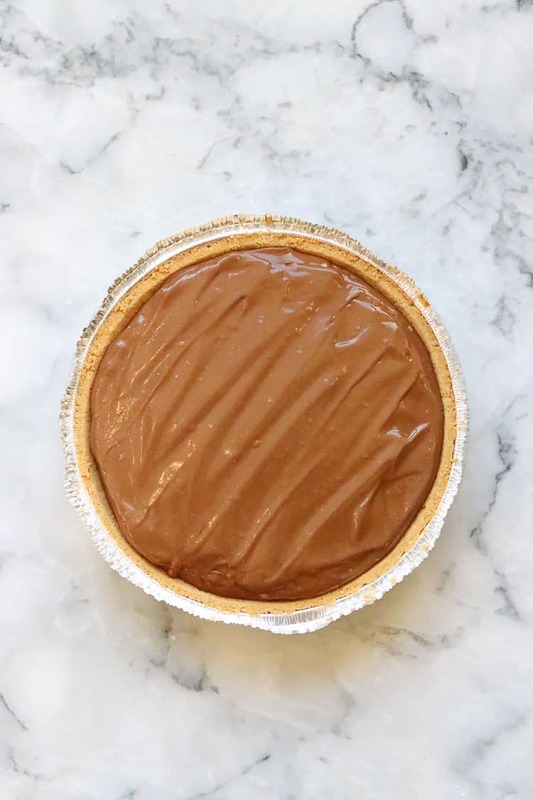 So here’s the recipe for this Peanut Butter Pie and below it you’ll find 10 MORE awesome vegan recipes using peanut butter from 10 amazing vegan bloggers! 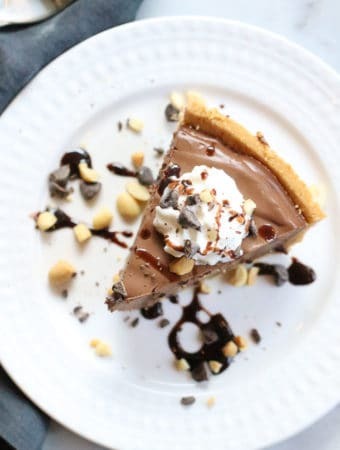 If you’ve tried this Peanut Butter Pie or any other recipe on my blog then don’t forget to rate the recipe and let me know how you got on in the comments below, I LOVE hearing from you! 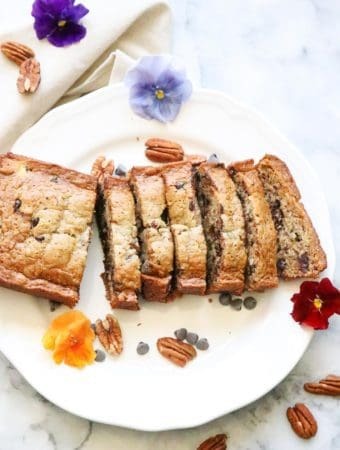 You can also FOLLOW MEon FACEBOOK, INSTAGRAM and PINTEREST to see more delicious food and what this blueberry farm girl is keepin’ busy doing!!! 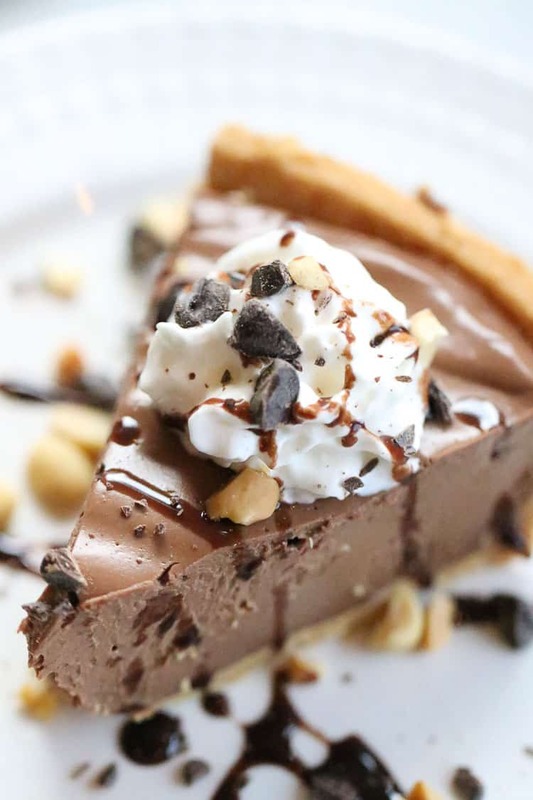 This rich and creamy chocolate peanut butter pie comes together quickly and easily! 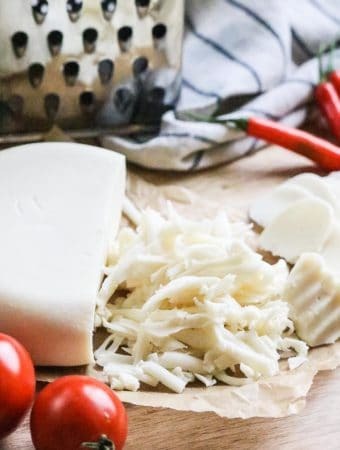 Made with a silken tofu base and only 5 other simple ingredients. No baking needed. 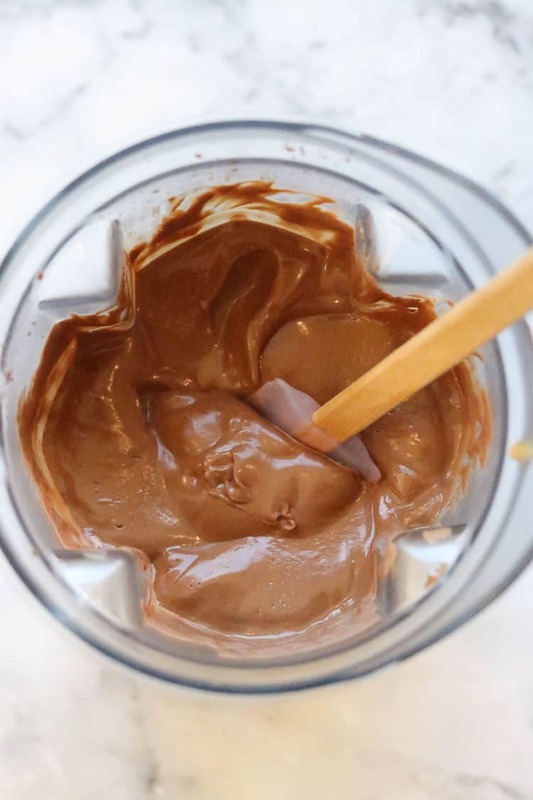 Measure your vegan chocolate chips and non-dairy milk into a small saucepan. Stir constantly over medium heat for several minutes until chocolate chips completely melt. 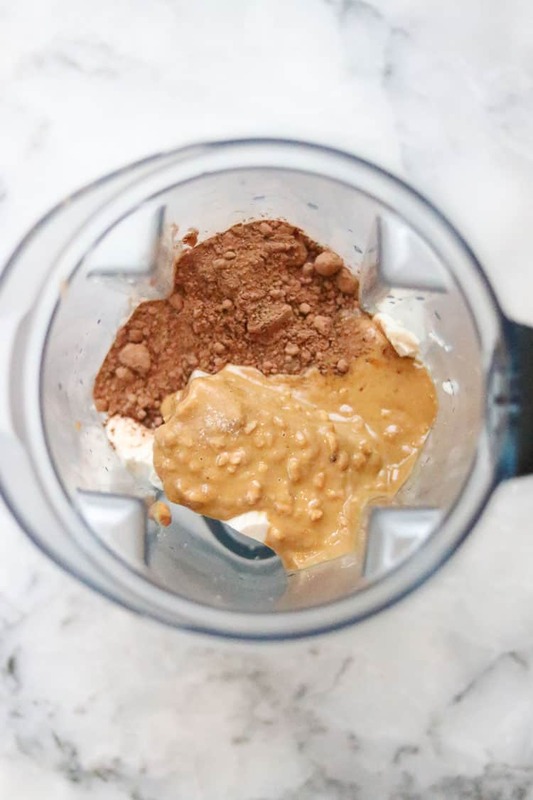 Into the blender add silken tofu, peanut butter, vanilla extract, cocoa powder and sugar. Garnish as desired and serve!!! Delightful! 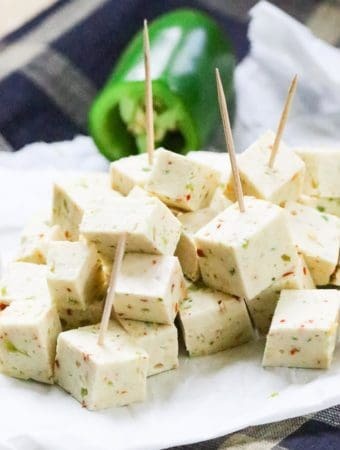 If Silken Tofu (found in aseptic boxes in the dry goods section of health food stores) is not available, soft refrigerated tofu would be a decent substitute. 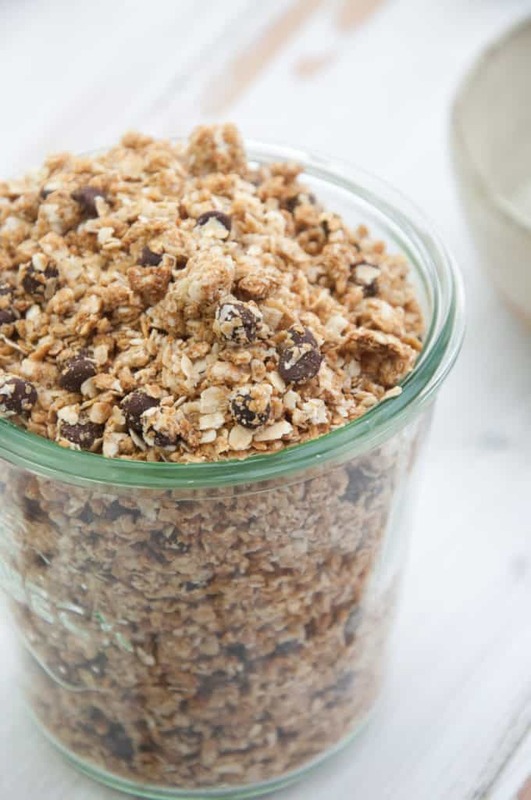 Check out this 5 Ingredient Peanut Butter Granola!! I’m thinking this on top of some nice-cream is a must! 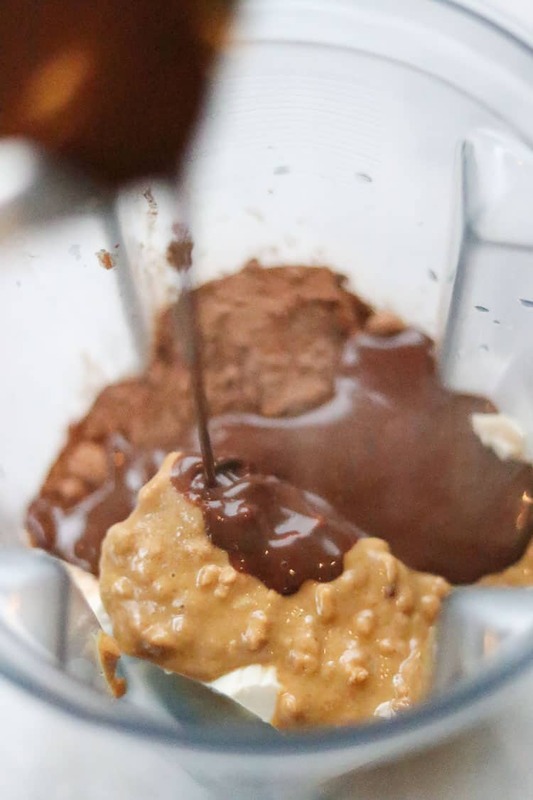 Chocolate Peanut Butter Overnight Oats – a breakfast definitely worth getting out of bed for! 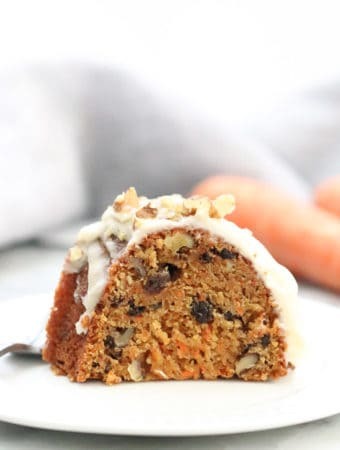 What an ingenious idea for breakfast, snacks, or supper on-the-run! 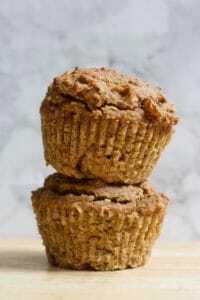 Low-Fat Peanut Butter & Jelly Muffins (gluten-free + no added sugar)!! 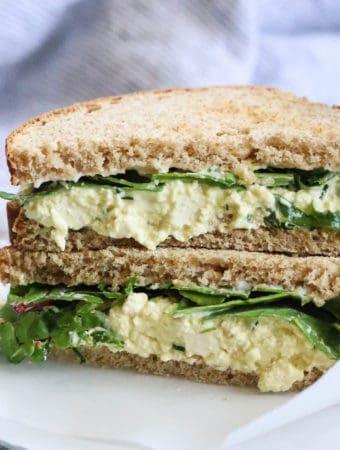 Try hummus with a new twist! 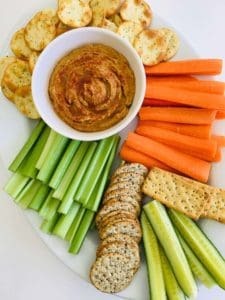 This Peanut Butter Hummus is just the ticket to a fun and gorgeous dip! This just has my mouth watering! 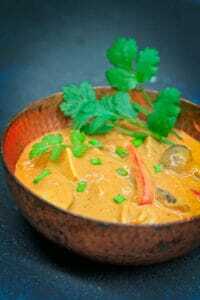 Spicy Thai Peanut Noodle Soup (Low fat, No oil). 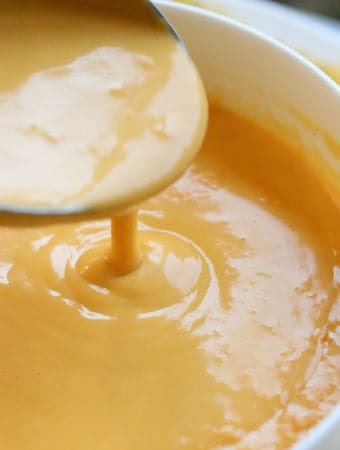 Peanut butter and warmth!! 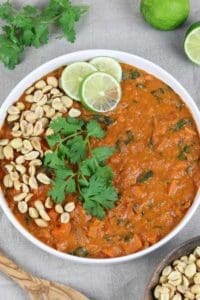 This Sweet Potato Peanut Stew is an epic way to get super-nutrients AND peanut butter! 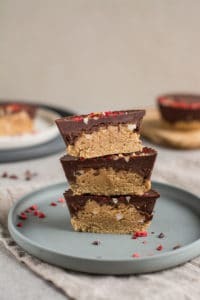 Vegan Peanut Butter Cups – totally the stuff of dreams! 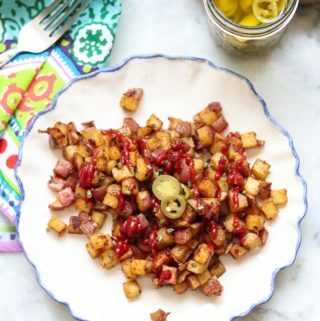 Make these and you’ll never look back! 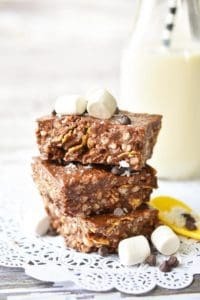 Peanut Butter Chocolate Crunch Bars – I think that title says it all! Perfect BLISS! 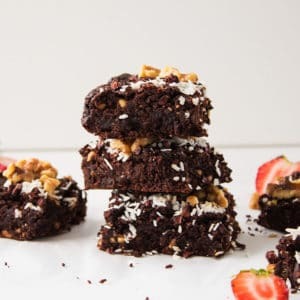 And these FAB Peanut Butter Brownies have Banana in them and are just what I need right now! Hope you all have enjoyed this little recipe party! 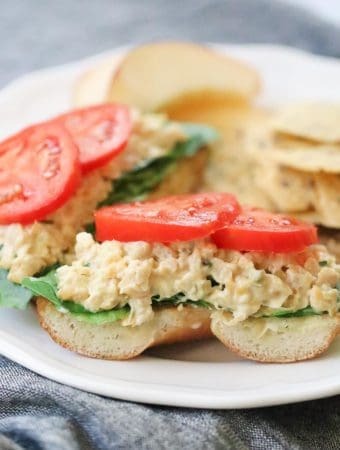 Time to go stock up on PB so you can enjoy all these yummy recipes! 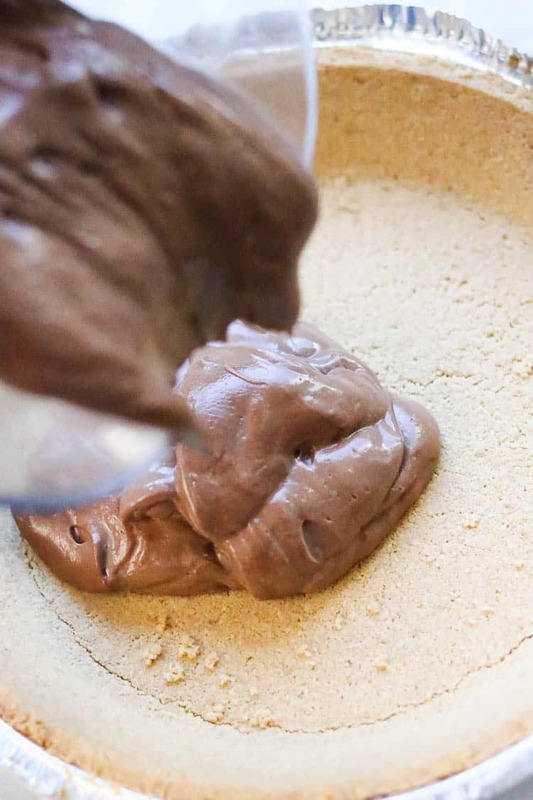 What is the brown powder (looks like cacao powder) in your blender photo? A bit confused as the ingredients that get blended are tofu, peanut butter, sugar and vanilla extract? Thanks so much for mentioning!! Somehow the cocoa powder (cacao would also work) got deleted from the recipe card!! I added it back in. It’s just two tablespoons so it would likely work fine without it, but it adds a bit more chocolatey depth! Thx again for helping me out with that!! !